At Cravings, we offer many choices. 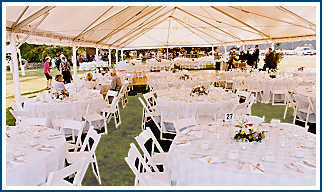 Our professional staff has been setting the standard of catering excellence for years in the Eugene area. We can answer your questions and share with you our extensive portfolio of the numerous events we have had the pleasure of creating for our clients. Here are a few sample menus and items we offer. If you have something special in mind, just let us know and we can create a selection especially for you and your guests. Updated July 2008 © 1999, Cravings, Inc. All rights reserved.